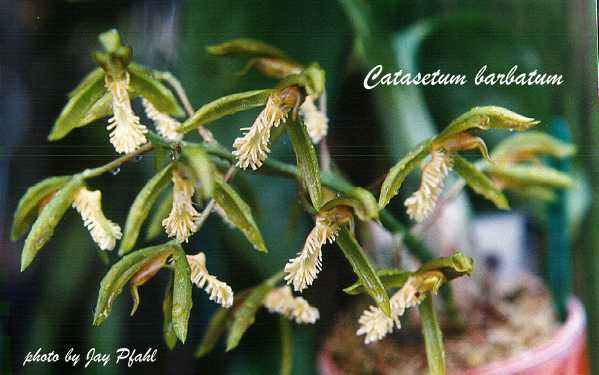 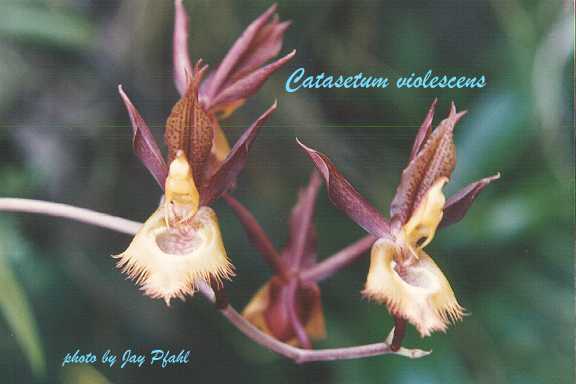 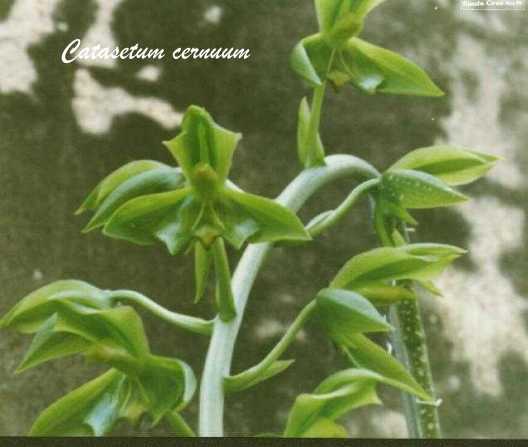 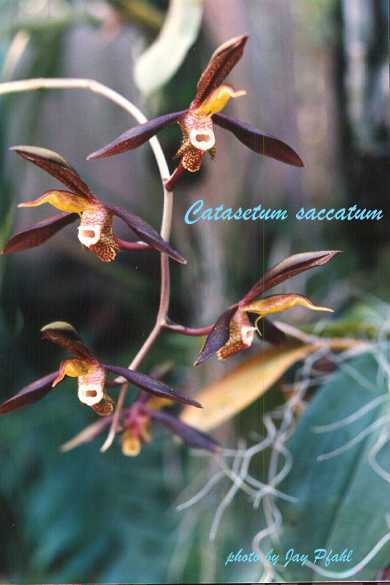 Catasetum SITE LAST UPDATED 12/07/97 This Site Dedicated to Orchid Lovers Everywhere! 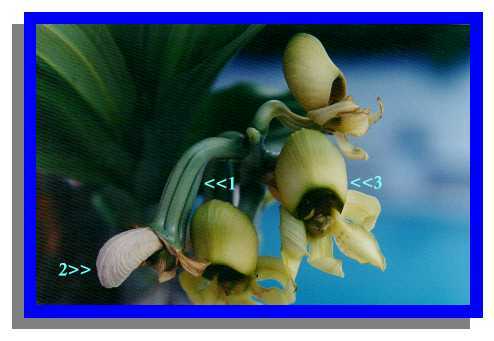 The next photo that can be seen here, shows a dried female flower [See #2 in photo] 1 day after a sucsessful encounter with a male pollina, next to a non impregnated flower [see#3 in photo]. 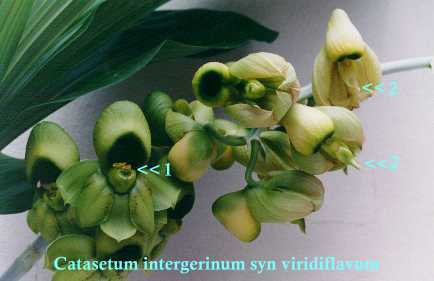 Note the swollen ovary [#1 in the photo] which is actually the stem of the flower. 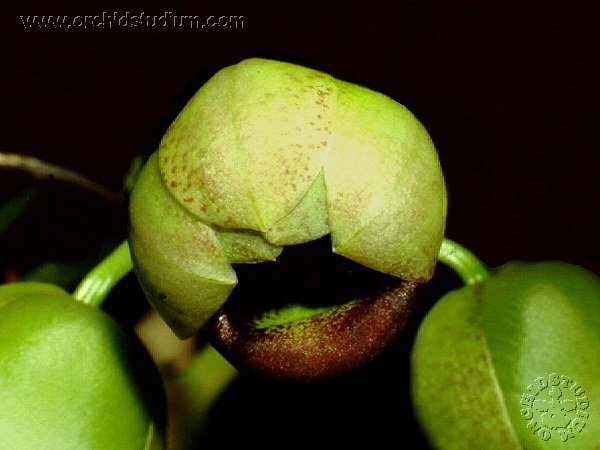 Here is where the seed will develop and in 3-4 months the seed will be mature and the capsule will dry and break open spilling the seed to the wind. 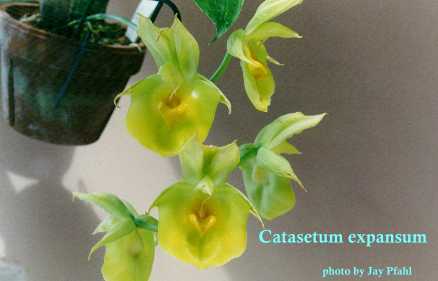 Species names that are synonyms of current species are denoted with a ~. 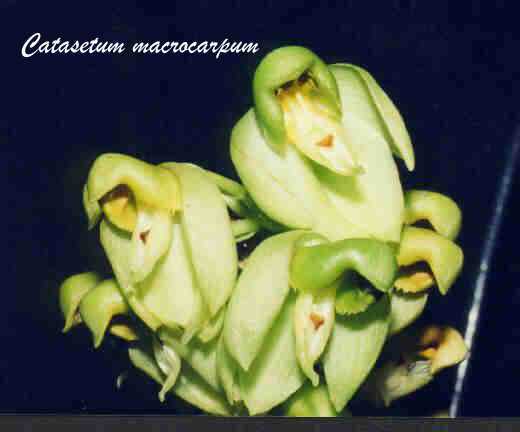 -Panama, Colombia and Venezuela - Alt 0-1800m - hot to warm grower - Flowers Feb-Oct.
- See C. gnomus Linden&Rchb.f. 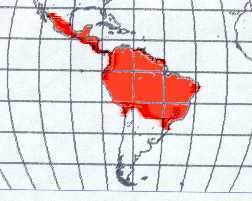 - Colombia and Venezuela - Alt 0-1000m - Hot grower - Flowers May-Oct.
- Colombia - Alt 0-1000m - Hot grower - Flowers in May-Oct.